Mid-February seems to bring the arrival of mystery gull season. I’m not sure if it’s just an impression, or actually true in practice, but it seems like around this time more large gulls show up around town where they are easy to observe. For them, it’s the lean time of year, and the food available around town certainly plays a role in the gathering. Once the herring really move in during late March or early April, they are very abundant, though not always as easy to observe closely, and gradually numbers thin out a bit as spring heads into summer. 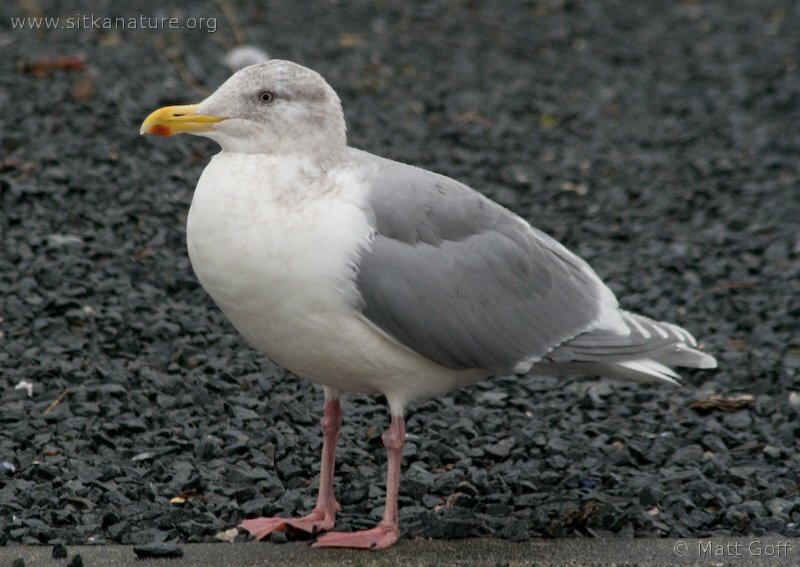 I recently took pictures of three different gulls which are giving me a little identification trouble. I also realized that I have some photos of gulls from last year around this time that I have yet to get conclusively identified. Rather than cram them all into one post, I think I’ll let this be the start of a series of mystery gull posts. This entry was posted in birds, identification and tagged Alaska, birds, Gulls, identification, Larus, Sitka. Bookmark the permalink.